Sprint's prepaid brands Boost Mobile and Virgin Mobile today launched the ZTE Prestige 2, an entry-level Android handset. The Prestige 2 has a 5-inch FWVGA display and it is powered by a 1.1 GHz quad-core processor with 2 GB of RAM and 16 GB of storage. The phone has two 5-megapixel cameras, one on the front and one on the back. The main camera has a flash. Other specs include a 2,035mAh battery, memory card support, HD voice, roaming in Mexico, mobile hotspot, and LTE 4G. The phone costs $80, but Boost Mobile is selling it online for $52. 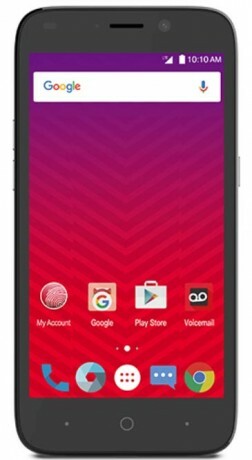 Virgin Mobile is offering the ZTE Prestige 2 for $50. It runs Android 6 Marshmallow.